2013 marked a shift for me. It's a year in which I shot fewer local shows than I ever have since I started as a music photographer. At the same time, I had the fortune of traveling more than ever for jobs, shooting for some amazing clients, and gaining some unforgettable experiences as a music photographer. Here are some of the images and shoots that made my year. 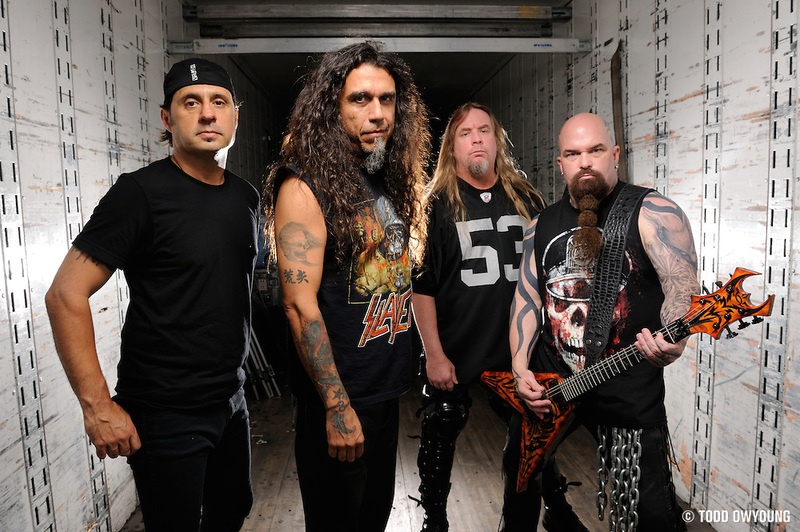 The year started off with a bang, signing a deal to license a portrait I made for use as the official promotional photo for heavy metal legends Slayer. This agreement was something that had so nearly happened once before in the past, so the fact that it finally happened was something I was personally proud to see at the start of 2013. I think what tickled me most about this photo and official licensing is the fact that this portrait was shot in about four minutes in the back of one of the band's gear trailers. I guess it just goes to show that sometimes it's not the most complicated or hugely budgeted setups that make it to press. 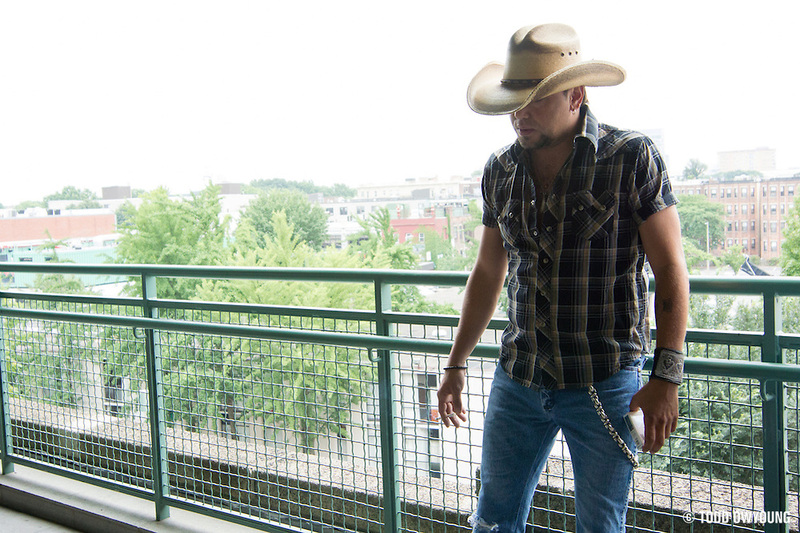 Jason Aldean photographed at Fenway Park in Boston on July 13, 2013. This year, my brother Chris Owyoung and I had a dream client in the artist Jason Aldean. Chris and I had photographed an ad for Wrangler Jeans featuring Aldean back in 2009, back when Jason was rising through the ranks of the country music world. 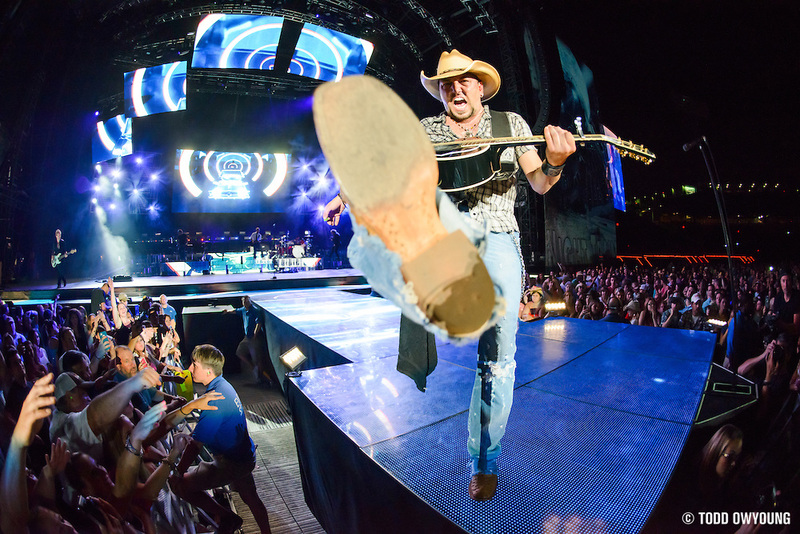 Flash forward to 2013 and Jason Aldean put on one of the biggest tours of the year, with historic shows at Madison Square Garden in NYC, Fenway Park in Boston and Wrigley Field in Chicago. This is all after the first-ever concert at the 90,000 capacity Sanford Field at the University of Athens Georgia. Needless to say, it was a honor to work with the team behind these massive shows. 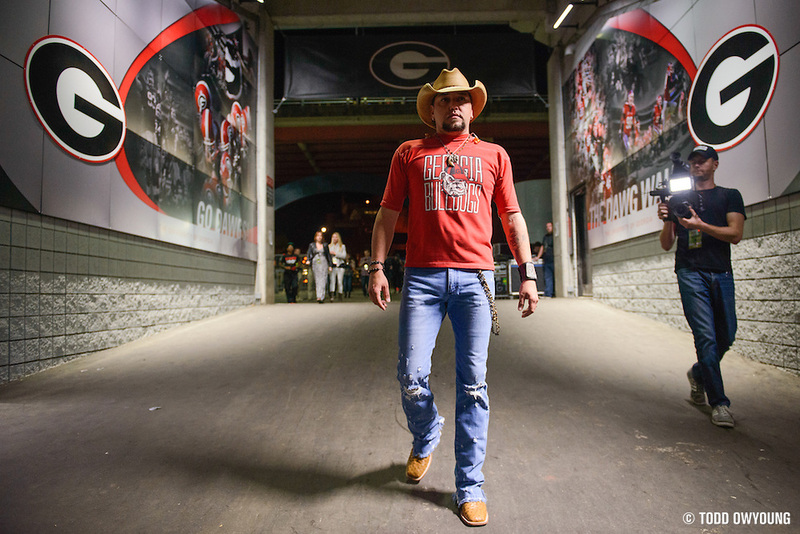 Jason Aldean walking through the underpass just before taking the stage at University of Georgia's Sanford Stadium on April 13, 2013 in Athens, Georgia. Also in the country music world, Chris and I also had the honor of working with legend Kix Brooks of the dominating duo Brooks & Dunn, who charted for two decades as the most successful country duo of all time. 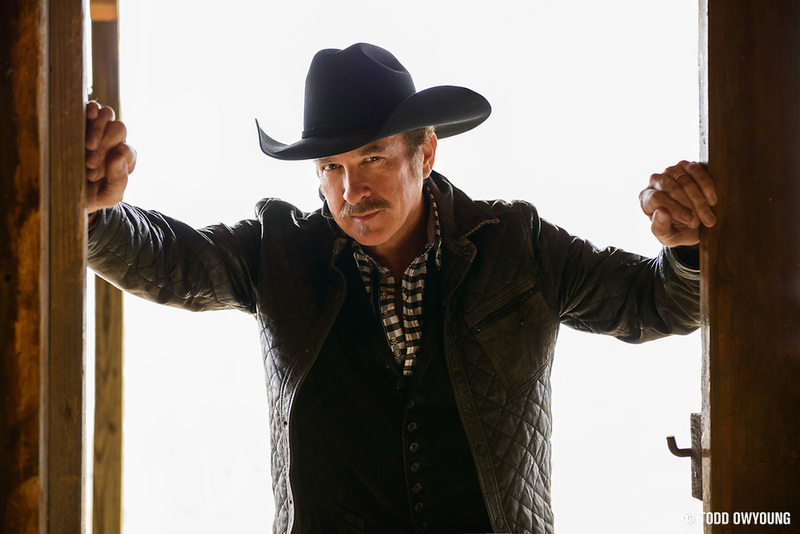 Country artist Kix Brooks photographed in West Springfield, MA on September 29, 2013. It was amazing working with Kix, who is a total pro in every sense of the word. Just a pleasure to shoot with, and not just because he's interested in photography. In fact, Kix owns his own film production company and has been shooting for years, so it was fun to talk shop with him as well. One of my personal highlights for the year came in August, when I traveled to England to join some of my favorite colleagues and friends, legends Danny North, Daniel Boud, and Andrew Whitton. 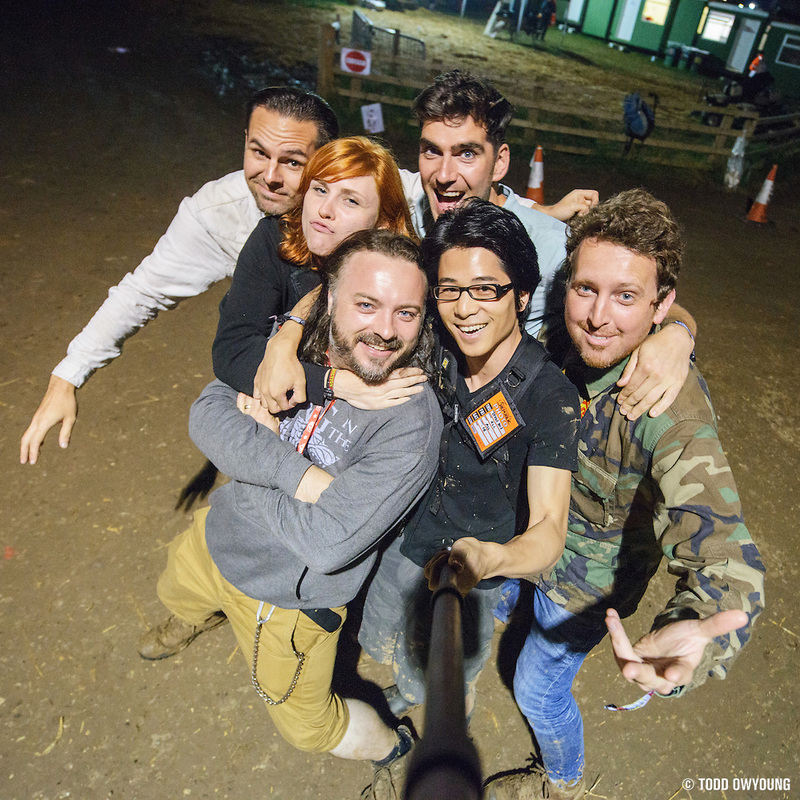 Together, alongside Jenna Foxton and Seb Barros, we formed the official photography team for Leeds Festival 2013. Danny is a great friend of mine and he's had the massive plan of trying to get Daniel Boud and I over to the UK for several years now to all shoot together. 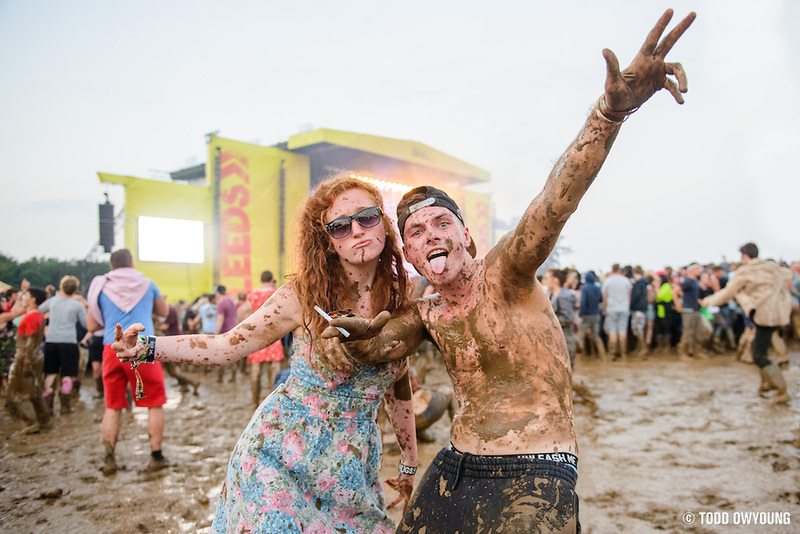 Festival goers at Leeds Music Festival on August 25, 2013. Photographing an event as large as Leeds Festival was a massive amount of work, but I'm exceedingly happy and proud to say it was a success, even to the point of Danny North saying it was the best collection of festival photography he'd put together. For someone who has shot the truly epic number of festivals that Danny has, this statement wasn't something the team took lightly, and I'm thrilled to have been part of the team. In September, I had the privilege of working the iHeartRadio Music Festival in Las Vegas for the second year. What I love about this festival isn't just the top-shelf talent onstage, it's the exceptional group of photographers that are pulled together for the official photography team. With an event this big, there is a massive amount of photo coverage, from backstage exclusives to the live shows and satellite parties surrounding the concerts. There are literally dozens of photographers working this festival, and just as many photo editors working behind the scenes to push out the images. 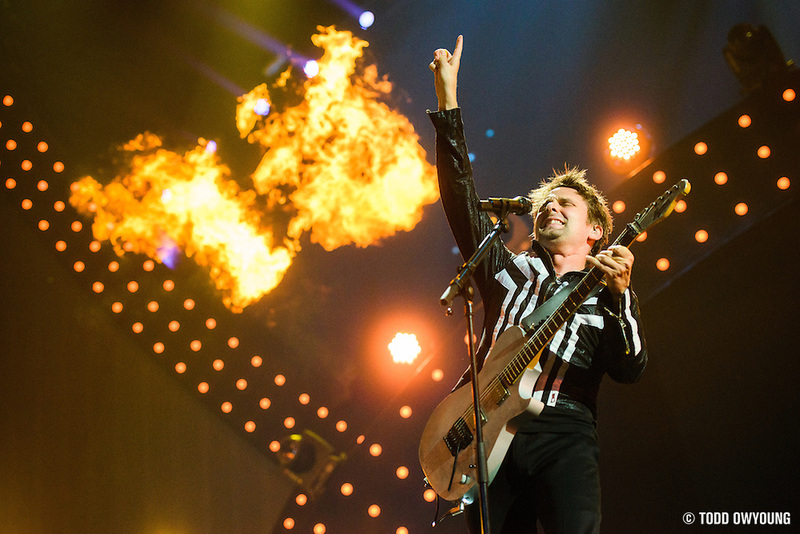 Muse performing at the iHeartRadio Music Festival at the MGM Grand Arena in Las Vegas on September 20, 2013. I've had a lot of great jobs and assignments in 2013, all of which I was thankful for, but these were some of my very favorite gigs and the ones I'm most proud of. Add in to the above working for awesome clients like Jack Daniels, Red Bull, Q Magazine, the Virginia Arts Festival and more, and this was an awesome year with a lot of firsts and a lot of personal milestones. I'm looking forward to even more in 2014. Stay tuned for my next post featuring some of my favorite music photography from the year. For all the music photographers out there, I hope your 2013 was great and 2014 will treat you even better. 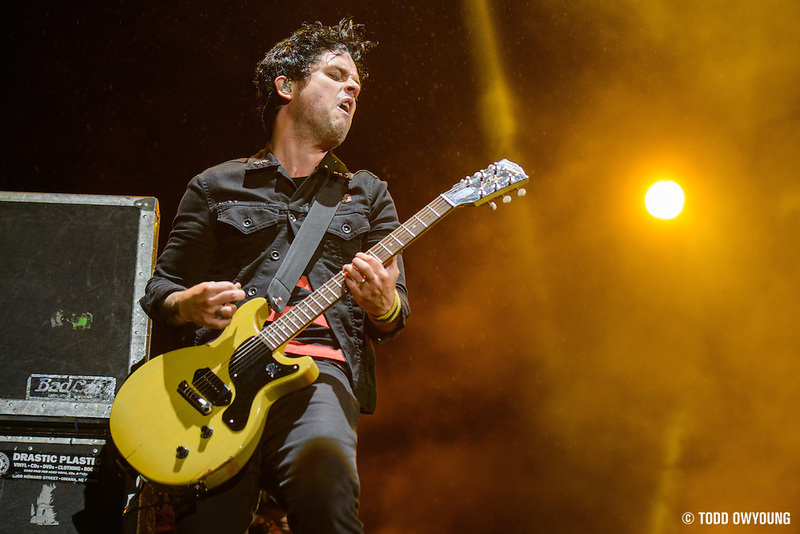 Be sure to check out a larger collection of some of my favorite music photography images from 2013. Next ArticleReview: Synology DS1813+ — The Perfect NAS for Photographers? Happy new year Todd. Leeds was definitely a highlight of 2013 for me. Hope we can do it again sometime. PS. Love your new site template. I don’t know where to put this, but since this site has helped me in my music photography journey, maybe it still has even more to offer? If you click my name, there’s a project I’m working on that I would love some help/advice on and don’t know how else to get it. Fantastic set of photos! LOVE that first shot, hope it was worth getting kicked in the teeth for!